Hi all! 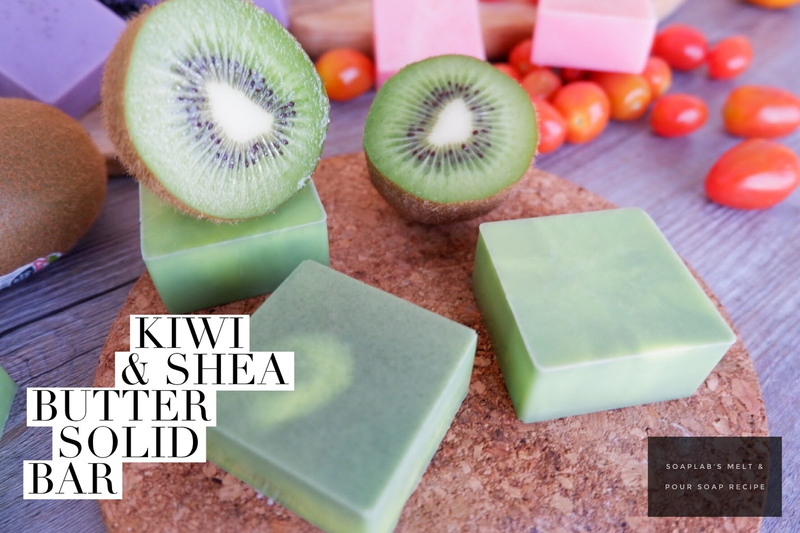 Today we will be teaching you how to make a moisturizing banana kiwi soap. To make this you needSoapLab’s Handmade Shea Butter soap base, banana extract, kiwi juice, and banana kiwi fragrance oil. Shea butter helps protect the natural oils of the skin, making it extremely nourishing and moistruising. In SoapLab’s Handmade SoapBase, we made sure that we put in a lot of shea butter so that you get this benefit instantly even if you are using it only the first time. Banana extract and kiwi juice are high with antioxidants which helps keep the skin look young and healthy. Finally; to give the soap a nice green and yellow color, like the fruits, add chromium green mica and yellow mica. Enjoy!